1 - Header - all pages 468 x 60 px 150 EUR./M. 2 - Footer - all pages 468 x 60 px 120 EUR./M. 3 - Left 200 x 250 px 90 EUR./M. 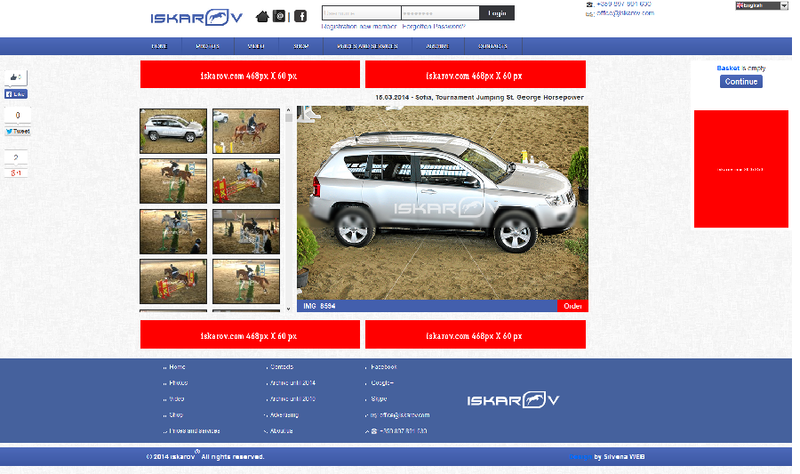 We also offer non-standard ads like full background, popup window, etc..